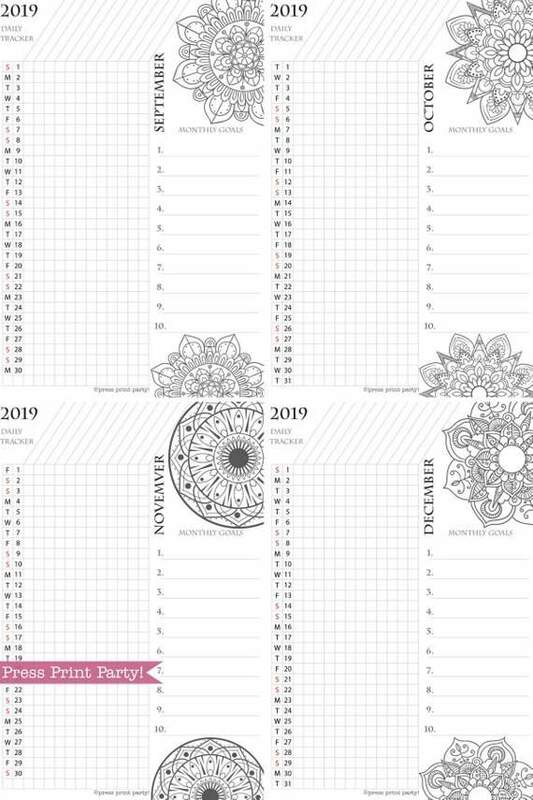 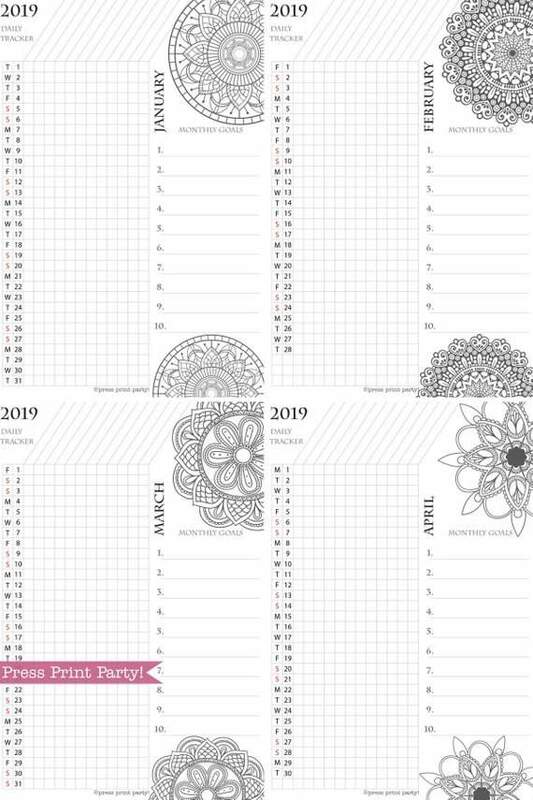 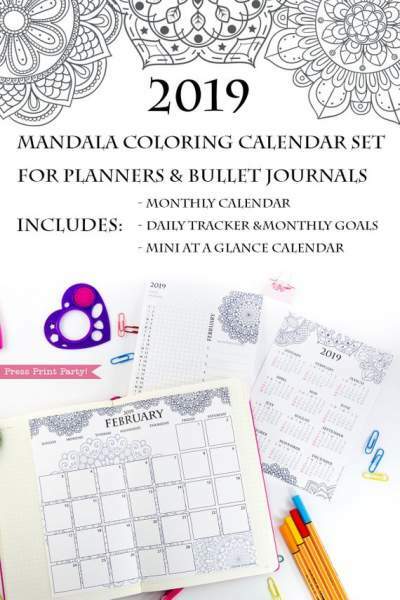 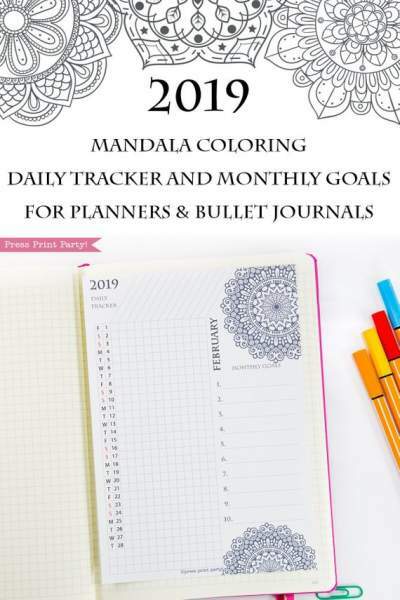 2019 Task Tracker Printable, Mandala Coloring Design - Press Print Party! 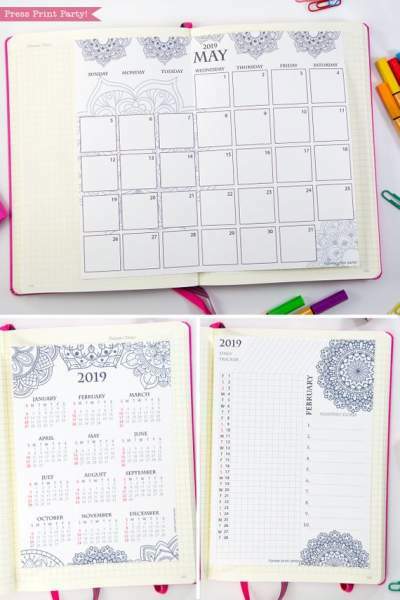 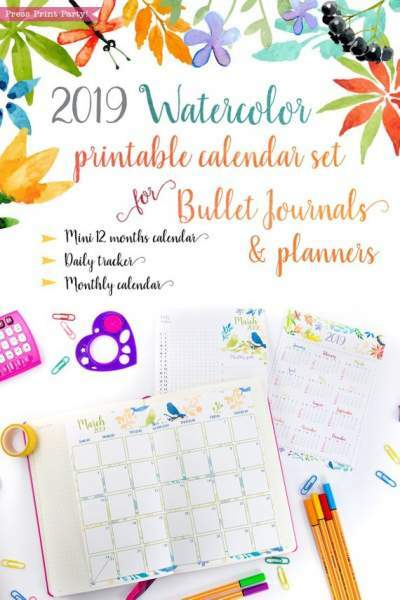 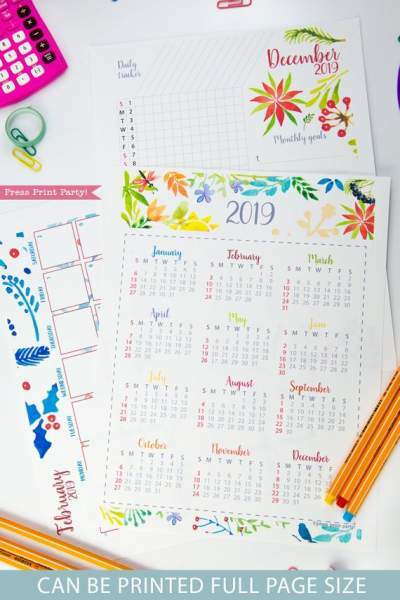 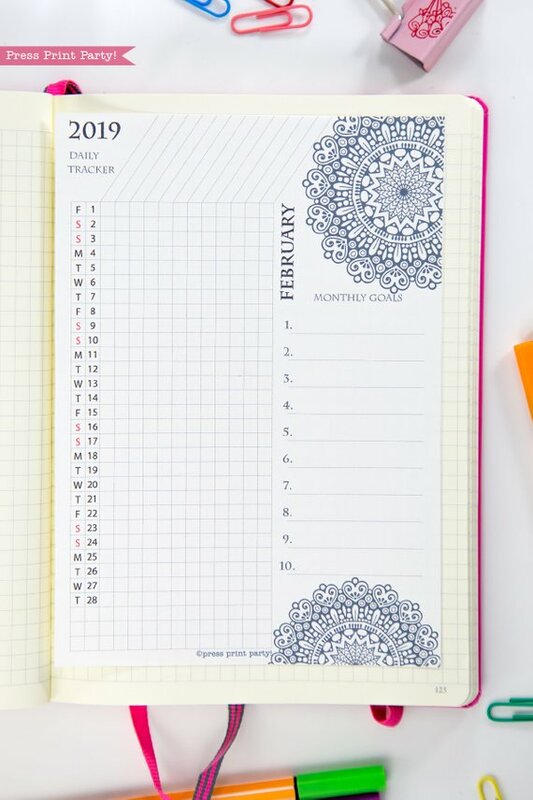 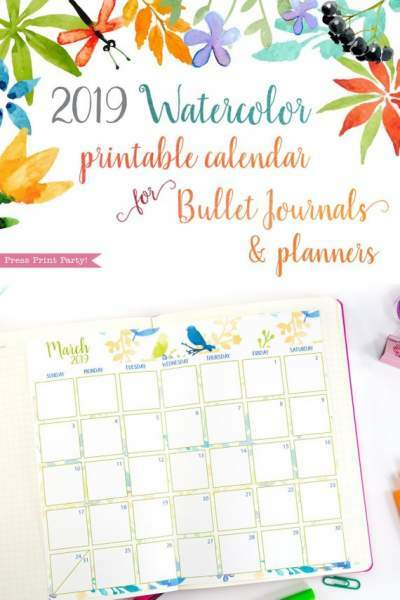 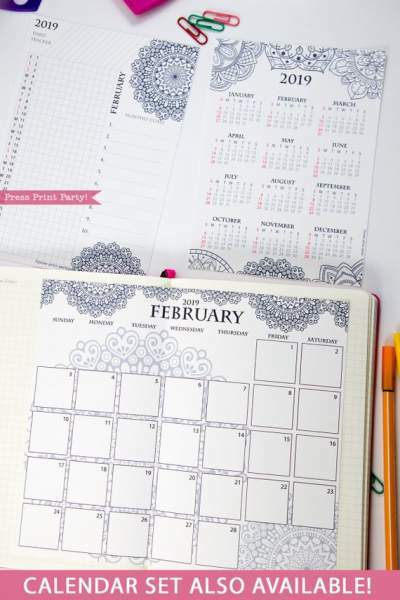 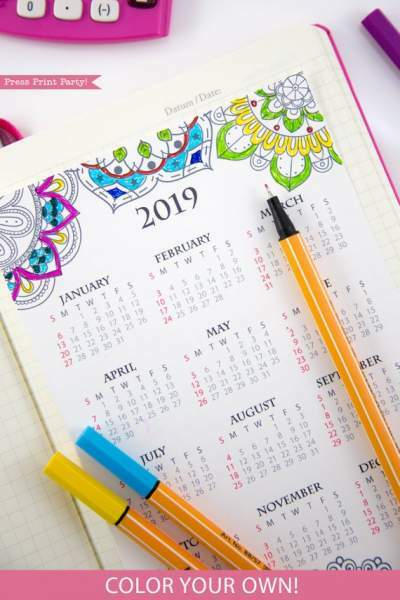 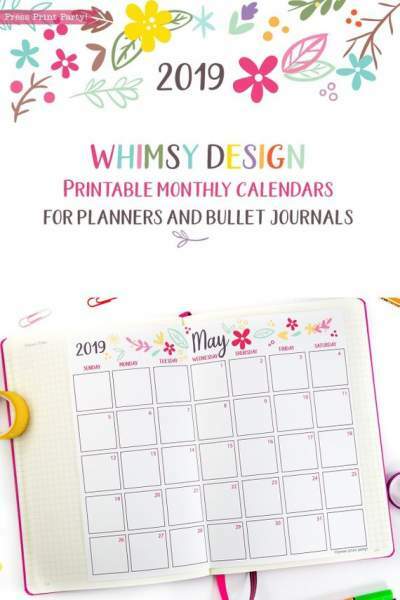 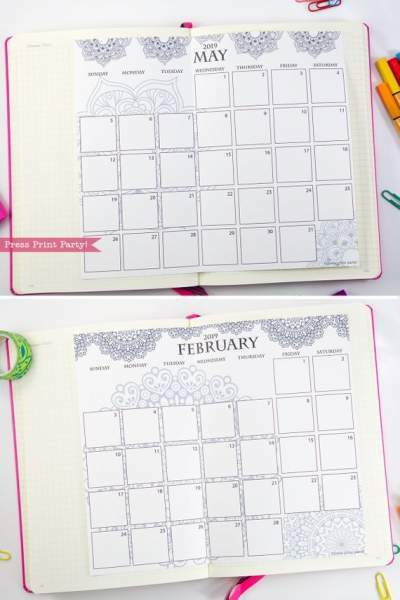 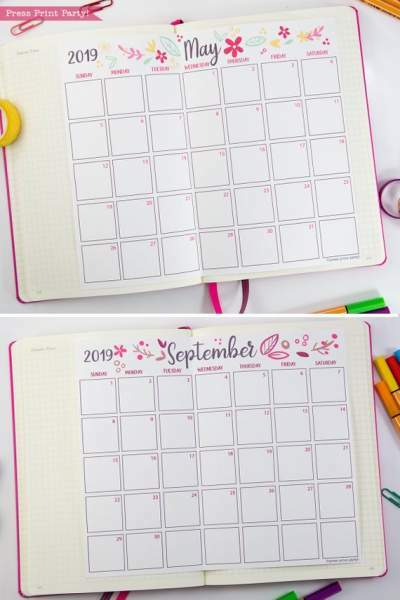 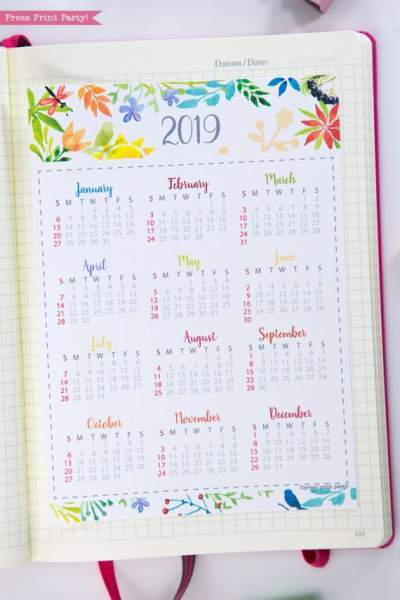 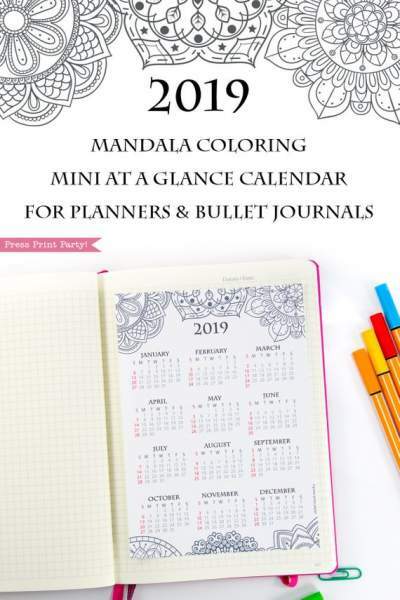 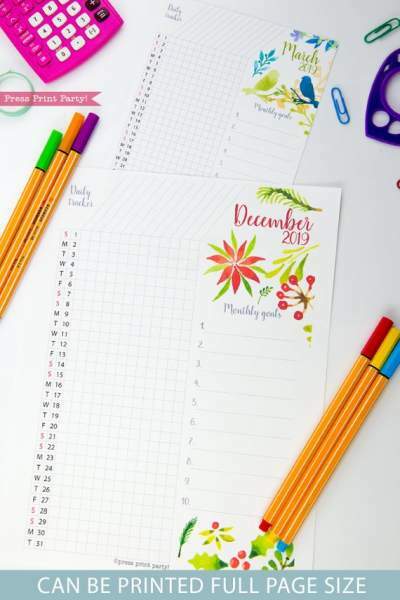 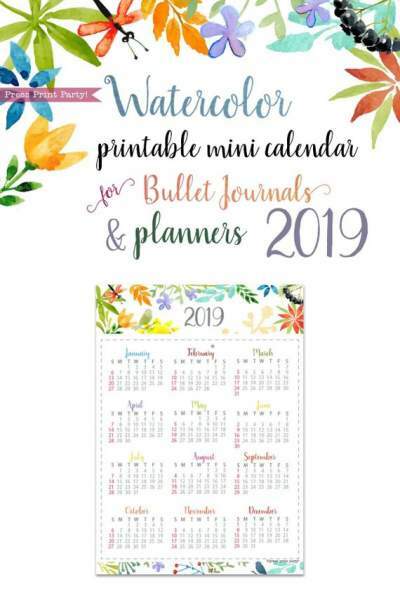 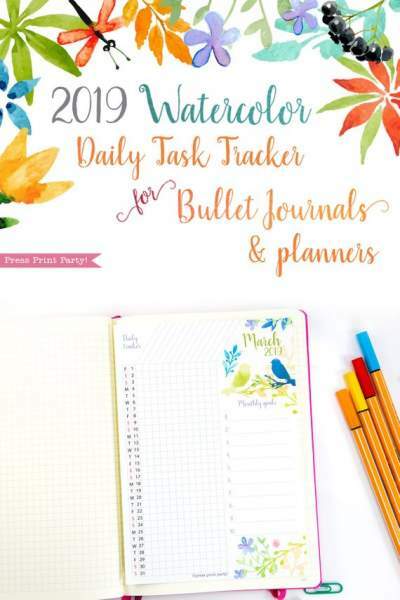 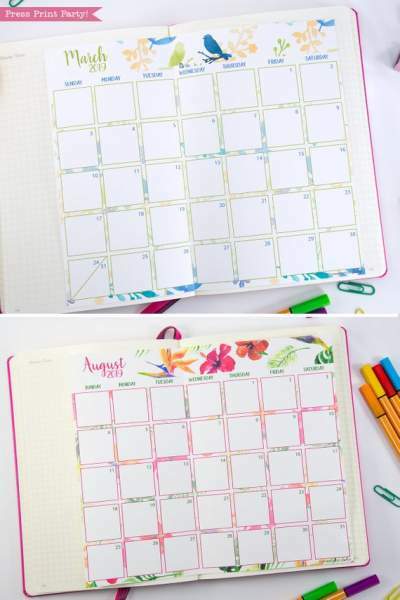 Start each month organized by using this fun mandala coloring 2019 daily task tracker in your bullet journal or planner. 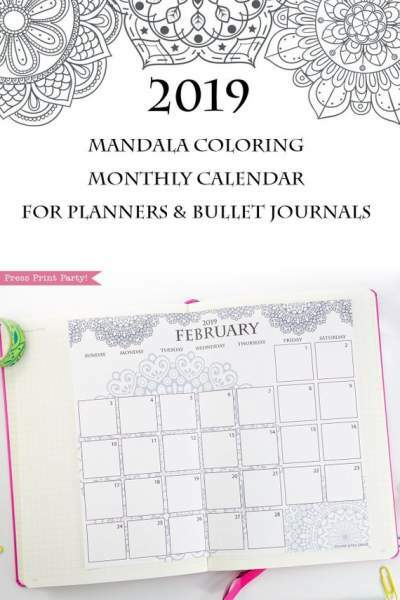 ● Beautiful and fun to color each month! 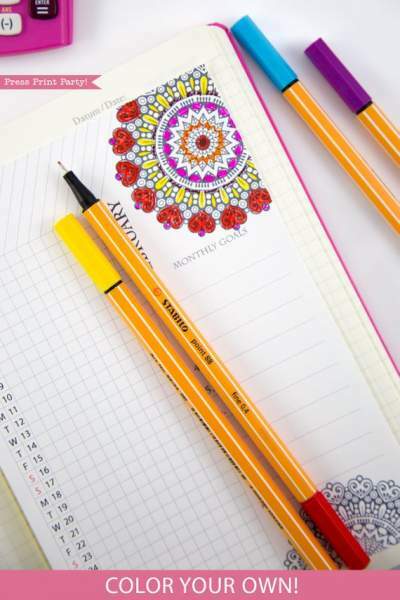 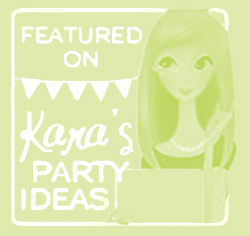 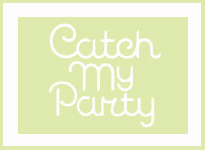 – Be creative!